This is my space to document adventure. In December 2014, after spending many months trying to figure out what kind of life we wanted to lead, where we wanted to go, how we wanted to live, my husband and I made a decision. Neither of us was happy in our current conventional life, so why stay? Why be ordinary when there is the possibility of more? We decided to hike the Pacific Crest Trail. And, at the end of our journey, stay out west –going wherever it leads. On April 19, 2015 we started at the Mexican border. Five months, five days, and countless steps later, we completed the PCT on September 23, 2015. This isn’t a hiker blog with lots of stats or gear lists, because there are already plenty of great ones out there by hikers that know much more than I (See below for some links). What interests me most are those tiny moments of spectacular truth, of capturing the essence of a thing. I am interested in process. I am interested in change, and revision. 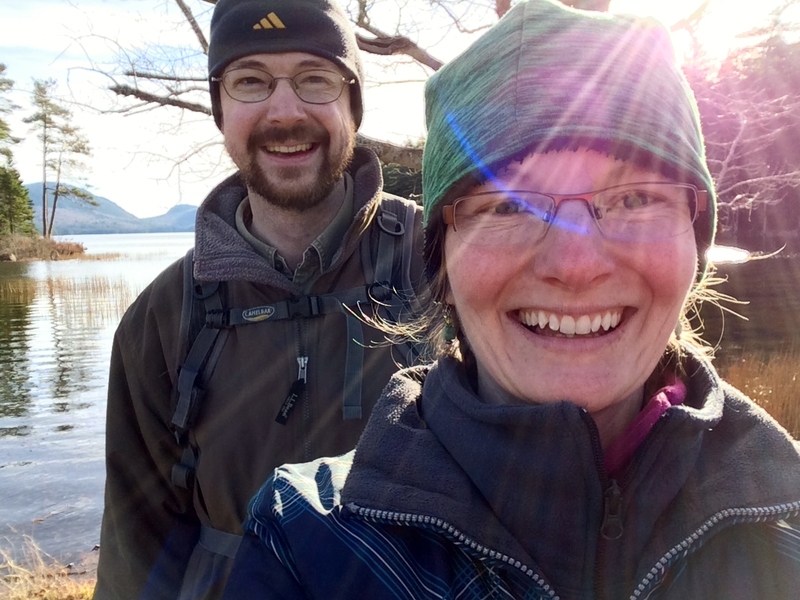 This blog in its current form is a place to share new adventures and process what life is like post-thru-hike. We are avid hikers who met, started hiking and adventuring together, fell in love, and haven’t stopped. 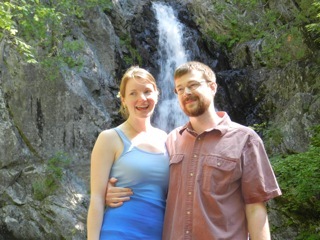 We got married in July, 2014, hiking into our small ceremony by a waterfall. We’re both native Mainers (although Catie isn’t officially, since she moved here when she was 7), and currently live in Walla Walla, Washington. Catie (Comet) is a freelance writer and speech language pathologist. Find her other writings at catiejoycebulay.com, and connect with her on Twitter @catiejoycebulay or Instagram @catesway. Jason (Not-a-Bear) is my partner in crime, and void of a social media presence. Before he closed his practice, he was a lawyer in a rural Maine community. Jason completed the Appalachian Trail in 1999. He recently found a job that suits him much better as Conservation Director of Blue Mountain Land Trust. Find his writing at BanknotesIndustries.com. You can read more about our decision to thru-hike the PCT here: Saying Yes to the Trail. Hello Catie and Jason ~ I just found your blog and look forward to following you on the trail. I hope it’s everything you dream and more. All the best! Thanks! We are looking forward to sharing our journey! Hi, my hubby and I are in our 70’s and retired, thinking of just doing some nice road trips. We have an older RV but think we will drive our car.